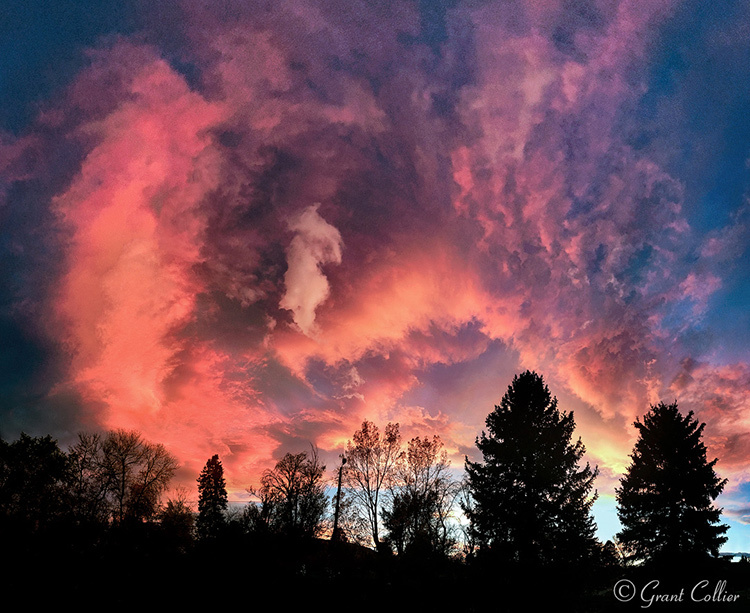 This amazing sunset lit up the skies over Golden, Colorado on an autumn evening. I didn't have my normal camera with me, so I captured this image by taking numerous images of the scene on my iPhone. I then stitched together the images on the computer to produce a 120 megapixel, ultra-wide photograph.